Jérusalem is a grand opera in four acts by Giuseppe Verdi. The libretto was to be an adaptation and partial translation of the composer's original 1843 Italian opera, I Lombardi alla prima crociata . 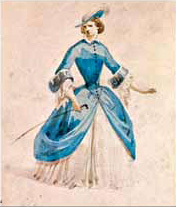 It was the one opera which he regarded as the most suitable for being translated into French and, taking Eugène Scribe's advice, Verdi agreed that a French libretto was to be prepared by Alphonse Royer and Gustave Vaëz, who had written the libretto for Donizetti's most successful French opera, La favorite . The opera received its premiere performance at the Salle Le Peletier in Paris on 26 November 1847. The maiden production was designed by Paul Lormier (costumes), Charles Séchan, Jules Diéterle and Édouard Desplechin (sets of Act I, Act II, scene 1, Act III scene 1, and Act IV), and Charles-Antoine Cambon and Joseph Thierry (sets for Act II, scene 2 and Act III, scene 2). Léon Pillet, was a 19th-century French journalist, civil servant, and director of the Paris Opera from 1840 to 1847. A political appointee, he was probably the least successful director of the Paris Opera in the 19th century. Vincenzo Salvatore Carmelo Francesco Bellini was an Italian opera composer, who was known for his long-flowing melodic lines for which he was named "the Swan of Catania". Many years later, in 1898, Giuseppe Verdi "praised the broad curves of Bellini's melody: 'there are extremely long melodies as no-one else had ever made before'." During this period in Paris, Verdi was to work on and complete the score for Jérusalem. From Paris, he fulfilled the obligation to write and oversee the production of Il corsaro from a libretto by Francesco Maria Piave which took place in Trieste in October 1848. 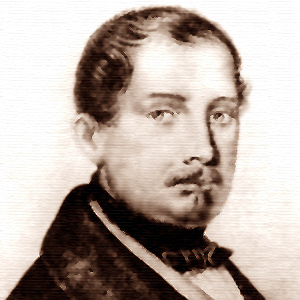 Also, he worked with Salvadore Cammarano on two librettos, one for La battaglia di Legnano (then attend its January 1849 Rome premiere), the other being Luisa Miller which was presented in Naples in December 1849 after Verdi's return to Italy. Many writers, including Baldini and Frank Walker, have speculated on supposed relationships which Verdi, a man then close to (and then in) his thirties, might have had (or did have) with women in the years following his first wife's death. However, the only real evidence, visible in Walker's The Man Verdi  and Baldini's The Story of Giuseppe Verdi,  relates to Giuseppina Strepponi, the singer who Verdi first encountered at the time he was writing Nabucco in 1842. She sang the first Abigaille, and continued on and off with that role in spite of her declining voice up to her retirement and move to Paris in October 1846 where she became a singing teacher in November and also planned a concert of Verdi's music for the following June. However, the couple were to remain together for many years, and when the time came to leave Paris, Verdi left in late July and "made straight for Busseto to wait for her there",  while it appear that Strepponi visited her family in Florence and Pavia before joining him. The US premiere was presented at the Théâtre d'Orleans in New Orleans on 24 January 1850. In 1998 Fabio Luisi recorded the work in the studio in Geneva with the Orchestre de la Suisse Romande. Marcello Giordani sang Gaston, Philippe Rouillon (the Count), and Marina Mescheriakova (Hélène). In November/December 2000 it was performed at the Teatro Carlo Felice in Genoa using an arrangement of the score "based on Verdi's Paris autograph," which has to be regarded as the most authentic, as long as there is no critical, complete Verdi edition,"  and these performances were recorded and released on DVD. Verónica Villarroel sang the role of Hélène. This opera was performed in March 2014 by Sarasota Opera as part of its "Verdi Cycle" of all the composer's works to be presented by 2016. Other companies in Bilbao, Spain (the "Tutto Verdi" series presented by ABAO) and Parma's Teatro Regio with its "Festival Verdi" have also presented all of Verdi's operas. Late at night Hélène is with her lover, Gaston. His family and hers have long been in conflict, but on the following day and prior to Gaston's departure for the First Crusade, it has been agreed that there will be a solemn reconciliation between the two families. (Duet: Adieu, mon bien-aimé / "Farewell, my beloved!"). After he leaves, Hélène and her companion, Isaure, pray for Gaston's safety. The Count proclaims the reconciliation and gives Gaston Hélène's hand in marriage. However, standing to one side, Roger, the Count's brother is quietly furious, since he is in love with Hélène. He leaves, after which the Papal Legate announces that the Pope has appointed Gaston to lead the Crusade, Gaston swears to follow him and he is awarded the Count's white cloak as a symbol of his loyalty. They enter the chapel. Returning, Roger proclaims his hatred of Gaston (Aria: Oh dans l'ombre, dans la mystère / "Oh! In darkness and mystery remain hidden, guilty passion") and approaches a soldier with whom he has plotted to kill his rival. He instructs the soldier to kill the man who will not be wearing the white cloak. (Aria: Ah! Viens, démon, esprit du mal / "Ah, come, demon, spirit of evil"). From inside the chapel the sound of uproar is heard. The soldier-murderer rushes out pursued by others while Roger gloats in his triumph. But it is Gaston who emerges, announcing that the Count has been struck down. The captured murderer is brought in before Roger; quietly Roger arranges for him to point to Gaston as the one who instigated the murder. Although protesting his innocence, Gaston is cursed by all and ordered into exile by the Papal Legate. Remorseful, Roger has been wandering for years in the desert and he cries out for forgiveness. (Aria: Ô jour fatal, ô crime / "O dreadful day, o my crime!"). Unexpectedly, Raymond, Gaston's squire, appears in a state of exhaustion and he begs Roger, whom he believes to be a holy man, for help, telling him that others of his Crusader group are lost. Roger hurries off to help them. Hélène and Isaure come down the pathway seeking the hermit who they think can tell them of Gaston's fate. They are surprised to find Raymond, who tells them that Gaston is still alive but held captive in Ramla. While expressing her joy, Hélène and Isaure are led towards the town by Raymond (Aria: Quell'ivresse, bonheur suprême / "What rapture! Supreme happiness! God has protected the man I love ..."). A group of distraught pilgrims climbs down from the hills around the cave. They are met by a band of newly arrived Crusaders led by the Count, who praises God for saving him from the assassin's dagger, and the Papal Legate. Roger appears requesting that he may be allowed to join them in their battle and the three proclaim their anticipated victory (Trio and chorus: Le Seigneur nous promet la victoire! O bonheur! / "The Lord promises us victory! Oh joy!"). Gaston is admitted and expresses his desire to be close to Héléne again. He begins to plan his escape (Aria: Je veux encore entendre.. / "I want to hear your voice again") when the Emir arrives and advises him that escape will result in his death. At that moment, Hélène, having been captured in the city, is brought in. The couple pretends not to know one another, but the Emir is suspicious. However, they are left alone and are joyous in their reunion, until Gaston attempts to dissuade Hélène from associating with him in his dishonor (Aria: Dans la honte et l'épouvante / "You cannot share in the horror and shame of my wandering life!"). She remains firmly resolved to remain with him. From a window, they see the approaching Crusaders and, in the chaos, determine to escape but are thwarted by the arrival of the Emir's soldiers. Hélène is surrounded by the ladies of the harem who express some sympathy with her plight. But, when the Emir enters and is told that the Christians are close to attacking the city, he orders that if the invaders are successful, Hélène's head should be thrown to the Count. In despair, she considers the uselessness of her life (Aria: Que m'importe la vie / "What does life matter to me in my extreme unhappiness" and Mes plaintes mes plaintes sont vaines / "My laments are in vain"). Gaston has escaped and rushes in to find Hélène, but their joy is short-lived as the Crusaders, led by the Count, burst into the room and demand Gaston's death, still believing that he was responsible for the attempt on the Count's life. Defiantly, Hélène challenges the Crusaders (Aria: Non ... non votre rage / "No ... no, your anger, your unworthy outrage") as well as her father ("The shame and crime are yours!"). The Count drags her away. Gaston is brought in and the Legate tells him that he has been condemned by the Pope and, following his public disgrace that day, he will be executed the following day. Gaston pleads for his honor to remain intact (Aria: O mes amis, mes frères d'armes / "O my friends, my brothers-in-arms"), but the smashing of his helmet, shield, and sword take place. The hermit Roger is alone near the camp. A procession of Crusaders and women arrives, Hélène amongst them. The procession continues on, although Hélène hangs back as the Legate approaches Roger and asks him to give some comfort to the condemned man who is then brought out. Gaston is brought out, but Roger refuses to give him his blessing. Instead, he hands his sword to Gaston urging him to place his hands on its hilt where it forms a cross and then to go off and fight for the Lord. Hélène and Isaure wait for news of the outcome of the battle for Jerusalem. They hear shouts of victory from outside and the Count, the Legate, and Crusaders enter followed by Gaston with the visor of his helmet closed. Praised for his bravery and asked to reveal his identity, Gaston announces that he is now prepared to be executed. Just then, the mortally wounded Roger is brought in and reveals himself as the Count's brother. He begs for mercy for Gaston and confesses to being the one who planned the murder which almost resulted in his brother's death. All rejoice at the restoration of Gaston's honor and position, as Roger takes one final look at Jerusalem and he dies. ↑ David Kimbell, in Holden, p. 987: Solera's earlier operas for Verdi begin with Oberto and include Nabucco , as well as I Lombardi. ↑ Walker 1962, pp. 181, 183–184. ↑ Walker, See Chapters 3, 5 ("Verdi and Giuseppina Strepponi"), and 6. ↑ List of singers taken from Budden, p. 340. Walker, Frank (1962), The Man Verdi. New York: Knopf. OCLC 351014. London: Dent. OCLC 2737784. Chicago: The University of Chicago Press (1982 paperback reprint with a new introduction by Philip Gossett). ISBN 978-0-226-87132-5. Budden, Julian (2000), "First steps in Grand Opera" in the booklet accompanying the Verdi: Jérusalem recording by Phillips. [http://operabase.com/oplist.cgi?from=01+01+2001&is=J%C3%A9rusalem&sort=DList of performances of Jérusalem] on Operabase .